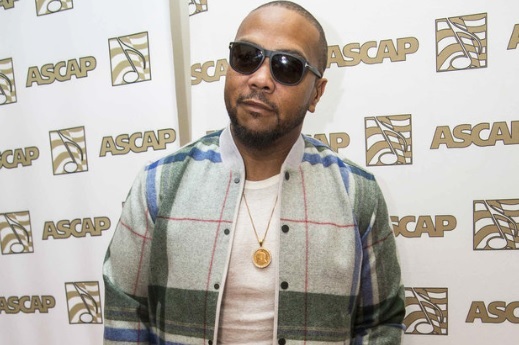 After helping Aaliyah, Missy Elliott and Justin Timberlake top the charts, Timbaland is looking for music’s next big star. He’s hoping to find that future phenom in The Pop Game, a new, unscripted series, set to premiere next month on Lifetime. The upcoming show, from executive producers Queen Latifah and Jermaine Dupri, will follow the producer (born Timothy Mosley) as he guides aspiring vocalists and their parent-managers through challenges to test their skills. Each contestant will be vying for a spot on the super-producer’s imprint, Mosley Music Group. "Being a mentor is what’s missing in music," Timbaland recently told Billboard of his motivation to get involved. "It’s really artist development, and this is part of owning a record label. Now, everything is on the phone and everything is visual so I think this is the new way of showcasing artists. If I show you how the process is done, I think you’ll respect it more." Timbo’s used to being around stars, and this show is no exception. Along with his team of writers and producers, acts like JoJo, Macy Gray, Nelly Furtado and Jordin Sparks will appear as special guests, helping hopefuls improve their vocals, image and onstage presence. Sparks, who won 2007’s American Idol, will offer expertise on the contest front, as well. "It helps that I went through the same thing, basically, that these kids are going through,” she says. "They have so much passion and they’re excited. I remember that excitement and also the feeling of the unknown." Sparks adds, "My prayer for them is that they continue to have that wonderment and that they’re able to exude that passion and fire." Timbaland, whose TV credits include Flashforward, Clash Time and Empire, also remembers his pre-fame days. In the early '90s, he was in a group called Surrounded By Idiots with Magoo and a then-unknown Pharrell Williams. Even at that time, Tim says he knew that they were "special." Now, he just wants to help put others in a similar position. "When we were doing it, we just concentrated on ourselves," he recalls. "But when you do music, when you’re a trendsetter, and when people look up to you, you have a responsibly to go back and teach others. That’s my gift, going back and pointing out, 'You need to pay attention to this person.'" For this series, Timbo’s asking viewers to keep their eyes on contestants like Ashlund Jade, Cravetay, Grant Landis, Ian Grey and Madysyn Rose, burgeoning acts with rising social media followings. Meanwhile, the budding stars are looking to soak up some of their’s mentor’s Grammy-winning wisdom. "I feel like Timbaland was perfect for me," says Jade -- the youngest of the bunch at age 13. "That’s the exact style I want to go for in my career." Landis, the oldest contestant at 17, agrees: "I don’t know if there’s anyone better than him." Just like his gleeful contestants, Timbaland is also excited for what’s to come. "All of these kids are like my kids," he says. Timbaland adds: "Music comes in all shapes and forms and I don’t know everything. I’m still learning. How I learn is from them, from the future coming up." Produced by Flavor Unit Entertainment and Intuitive Entertainment, The Pop Game follows Lifetime’s success with The Rap Game. That series, led by Jermaine Dupri, is set to begin its third season Friday night (Jan. 13), while The Pop Game will premiere Feb. 21 at 10 p.m. ET/PT.